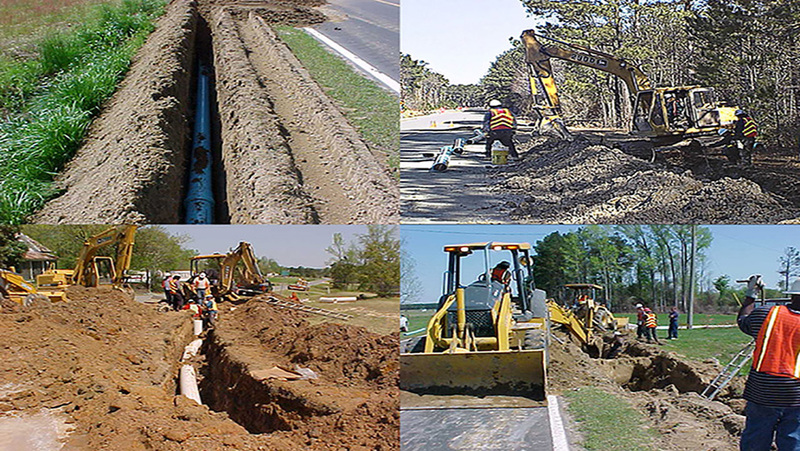 Water, Sewer, and Reclaimed Water Utility Construction - Within the jurisdictions of Johnston County, Wilson's Mills, and Archer Lodge. 1. Refer to Section 8 of the Johnston County Water Distribution, Wastewater Collection, and Reclaimed Water Design and Construction Standards for detailed information about submittal requirements. 2. Provide required Review Fee – see fee schedule. 3. Submit two copies of the completed Application for Approval of Engineering Plans and Specifications for Water Utility Construction Form (water projects only). No PWS approval is needed. Wastewater permits still need DWQ approval. 4. Submit two copies of the plans and specifications sealed by a NC licensed engineer. The plans and specifications must meet the requirements set forth in the Johnston County Water Distribution, Wastewater Collection, and Reclaimed Water Design and Construction Standards. The complete document may be downloaded from the Johnston County website at content.cfm?page_desc=wdwcrwdcs. 5.Submit an Engineering Report including all pertinent design calculations (including fire flow certification), construction description, and a detailed construction schedule. 6. Provide copies of all required permits and/or encroachment agreements necessary for the project. 2. Complete set of record or “as-built” drawings sealed by the engineer of record . 3. State lab certification of passing water quality testing (must be dated within the 30 days prior to the County’s acceptance of the water facilities). 4. Recorded plat indicating any necessary utility easements. 5.Lien waver from the utility contractor (use AIA Document G706A – 1994).